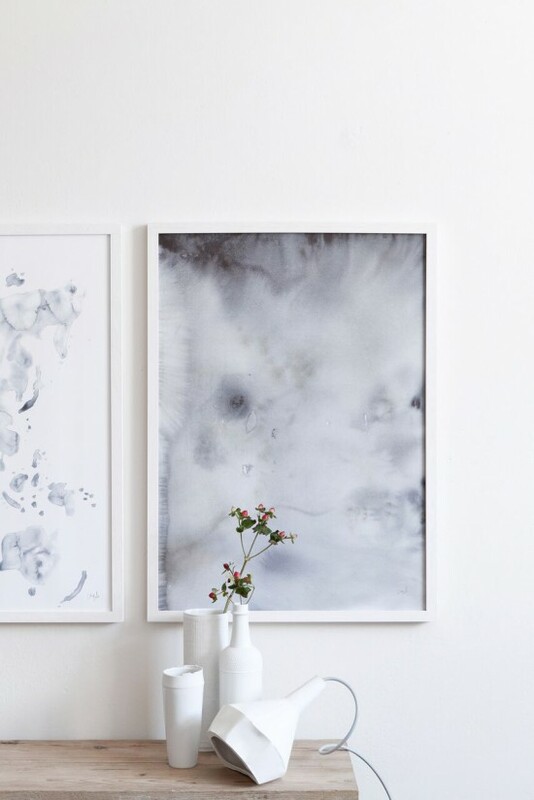 Style Files: Silke Bonde + Win a Print! 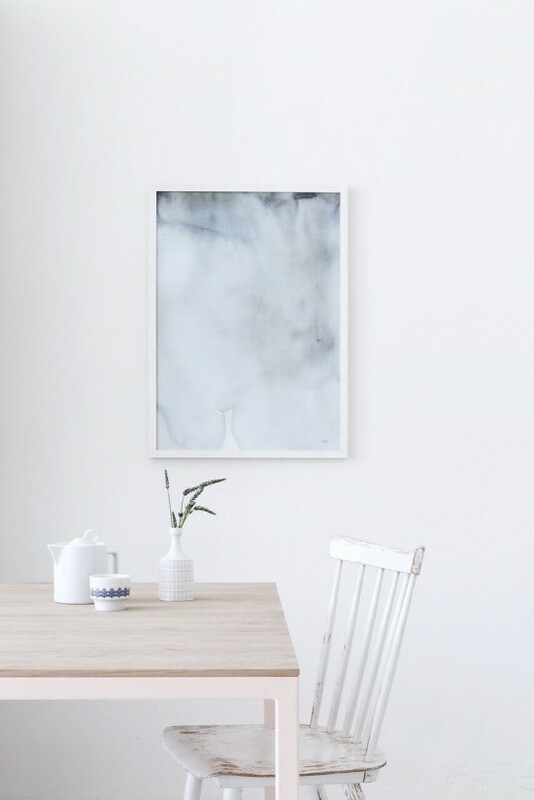 I been following Copenhagen based artist and brand designer Silke Bonde since first discovering her delicate and minimalistic line of watercolour prints some time last year, in awe of her graphic, nature inspired works and simplistic aesthetic. 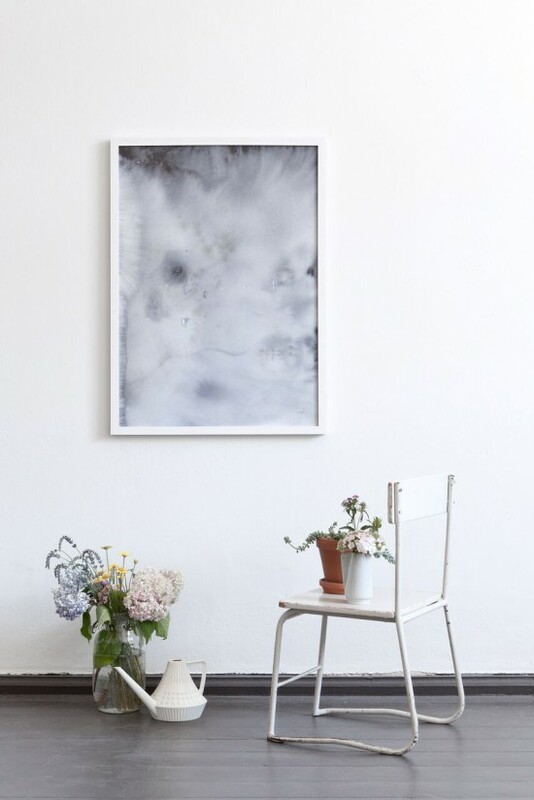 As I am always curious to know a little bit more about artists and get behind their creative processes, I reached out to her with questions I’ve been aching to ask, and am delighted to feature Silke and her work here today, with a stunning collection of images created by Studio Oink, Chris Tonnesen and Sofie Brünner. And of course I am even more delighted that we will be giving away two of her stunning prints! Have a look below on how to snag one for your home. What a fab way to kick off the year, don’t you agree? || What is the background behind your label Silke Bonde and how long have you been in business? When I was little I really enjoyed my own company especially when I had something creative to work with. I could sit for hours and work on the same thing, I guess I had a good imagination. I was always the creative one in my class and I enjoyed having that role. While studying entrepreneurship design in Copenhagen six years ago I started blogging. I mostly blogged about my creative projects and paintings at home and suddenly someday someone asked if they could buy some of it. I was surprised and happy. Shortly afterwards I built my own webshop and then it all started. That was four years ago. || How would you describe the Silke Bonde aesthetic? Which type of interiors do you think your products look best in? Since the beginning I have loved simplicity. When creating something new I always ask myself if I can cut some more away. I think it’s a delicate balance between visualising as simple as possible and still make sure the artwork has expression. For me, the simplicity is peace. My work looks best in bright interiors with simple furnitures made of raw materials like wood. There shouldn’t be too much stuff otherwise each piece will loose it’s value. || Where and how are your products made? Do you have a shop or studio? If so, what is it like and where is it located? I mostly work with watercolors. When I am satisfied with the artwork the original piece is scanned into the computer. Then I create the final artwork file which will be printed on high quality paper. I work in my home studio located north of Copenhagen. My home has big windows with lots of light. I also have my little dog by my side all day and we both enjoy our afternoon walks down by the sea. || What does a typical day look like in the Silke Bonde studio? Morning walk with the dog followed by a large breakfast (I love breakfast). Then I usually check and answer new emails and orders. After a few hours I will sit by the window and work on some watercolor artworks and probably take some Instagram photos during the day. I will have a break in the afternoon when my better half returns home and then go back to work in the evening again. || What is your bestselling product and why? My absolute best selling product is the “Blue world” print. 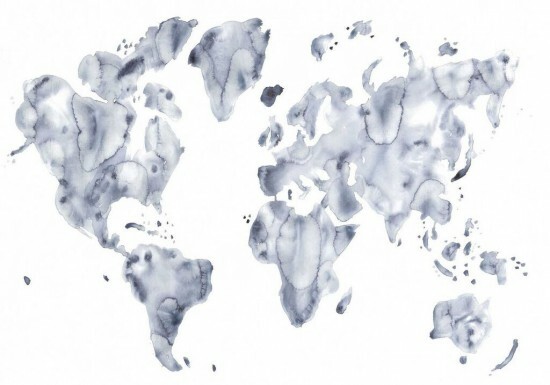 I think it is because so many people can relate to a world map. Many people love to travel and there are always many great memories associated with it. || What current designers and trends are you inspired by at the moment? How does your inspiration translate to your designs? I recently travelled to Tokyo and I was totally overwhelmed by this amazing city. I am very inspired by the Japanese wabi-sabi aesthetic thinking where they see beauty in the imperfect, natural, simple, changing objects. This mindset will play a huge role for my future artworks. I love the idea of creating something imperfect and just let the design process lead to a result instead of having it all figured out from the beginning. Extra points from sharing this post or a photo from this post on Instagram, tagging @silkebonde and @holly_avenuelifestyle. Winners will be announced on the 30th of January! And don’t forget to include your email address so I can contact you if you win! I love the contrast between the delicate and geometric. I think the ‘Cove’ print is my favourite. It would be perfect in my studio. Beautiful prints, hard to choose which is the nicest. The pictures are a great inspiration how to combine in it in your interior. 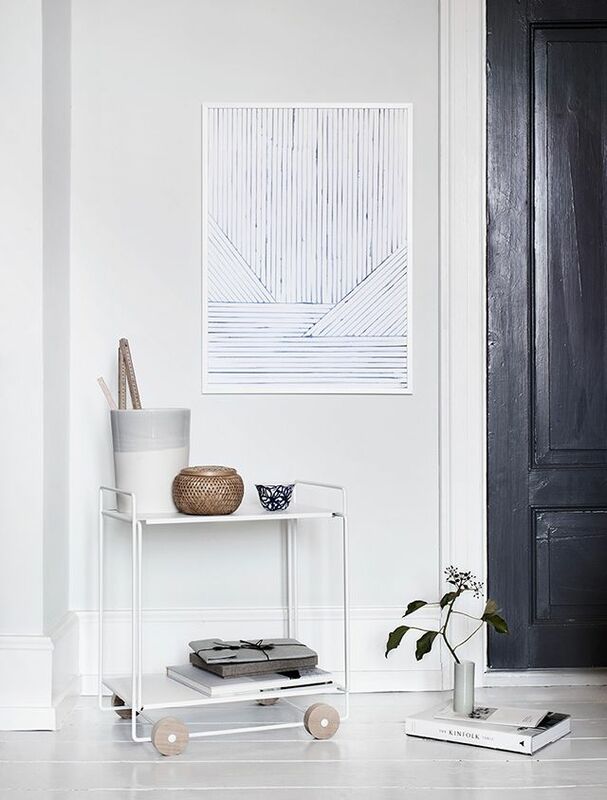 I love how beautiful Silke’s work is in its simplicity, and could imagine hanging the ‘Leaf Lines (green)’ print in my bedroom. Such a great giveaway, thanks Holly! Wow. Silke’s work is beautiful. It’s like a breath of fresh air! I would love to hang all of her prints in my home but if I had to choose just one, I would choose to hang “Blue World” on my bedroom wall. Watercolored maps simply fascinate me! Hej hej, these poetic artworks would bring a soft and delicate touch to any interior. 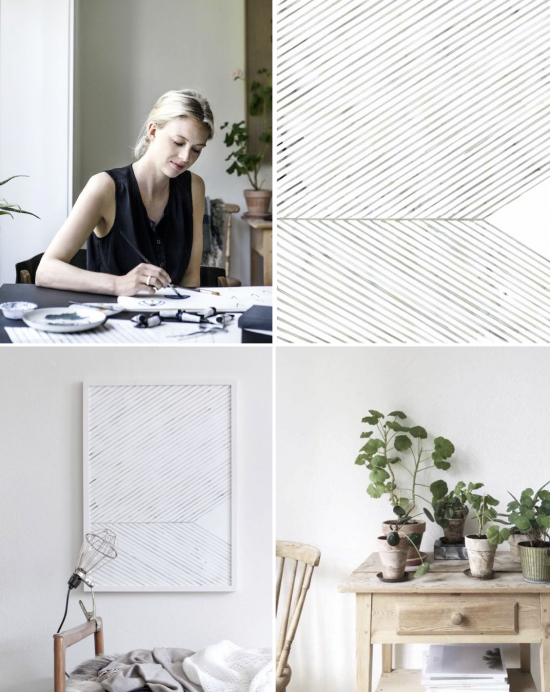 I love Silke Bonde’s minimalist work and I’m so glad to get to know more about it on your blog, thank you! I have to admit, I like them all and they would perfectly fit just next to my dinner table, so that i can see it everyday and get inspired 🙂 Have a sweet sunday. These are my dream prints! Absolutely stunning in their simplicity yet they all still seem to tell a story. I love the concept behind her ‘Looking Closer’ collection. 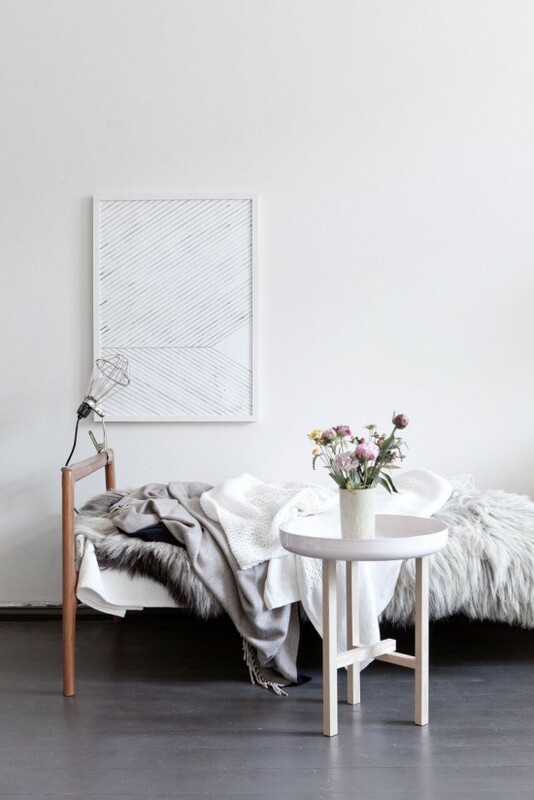 My favourite would be the ‘Forrest floor’print which is so beautiful and I would hang it above my bed, it is so calming to look at, I love it! Thank you for featuring such a unique artist, what a treat! I love her minimal style. It’s simple and beautiful. I love the leaf lines print and I put put it in my living room. I adore the simplicity of her work, and the lovely colors she chooses. Absolutely gorgeous. I would choose the Seabed print, and put it in my living room. I love the calming effect of her art! I especially loved the leaf lines print, but would be overjoyed to have any of hers in my home! I’m currently in between houses, but I would love to have one for my new living room. Very nice! I would love to win the “Blue world” print. I should hang it with the stairs, so we could see it very often. I love the beautiful textures and mottled colours – they look like wispy smoke, and have such a dream-like quality. Every piece is beautiful, but I’d love to win ‘Seabed’. I’d place it in my bedroom to help sooth my mind at night and inspire me when I wake up in the morning. I love the minimalist style of her prints. They add that extra oomph to any space! I would love the win the ‘Cove’ print and it would look great in my bedroom.